Possibly the most recognizable flavor of grape is the Concord. Many of the grapes grown in back yards and gardens are Concord. This is the grape associated with childhood and jelly sandwiches or the ever popular peanut butter and jelly. Most children and adults are familiar with Welch’s grape juices. When some individuals taste wine, they are looking for that taste. Historically, Concord grapes are the product of a man named Ephraim Wales Bull, in Concord, Massachusetts, in 1849. 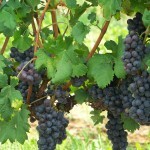 According to the Concord Grape Association, Bull planted over twenty thousand seedlings hoping to produce the ideal grape. In the late 1860s, Thomas Bramwell Welch and his son Charles produced unfermented grape juice to use for their communion service. Today, the Welch Company produces over 400 grape products. The Concord grapes, dark-skinned with a lighter colored bloom that rubs off, have a rather large seed and are very aromatic. Concord, though cultivated, is a Vitis labrusca, or Native American grape. Some believe that another native grape, Catawba, is a parent grape. Others believe it might have developed from other sources; some even suggest a Vitis vinifera or European grape. The characteristics of the Concord grape, the foxy, musky flavor and candied grape aroma seem to be more representative of Native American grapes. Foxy does not refer to an animal flavor as the term suggests. Grapes found in the United States in the 1800s, such as Concord, were referred to as fox grapes, hence the description. 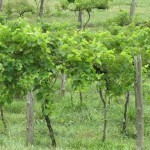 Most Kentucky wineries produce a Concord wine and they are generally quite popular. Visitors are reminded of the grape they remember from childhood. Concord wines are usually a sweeter wine. 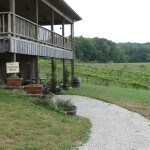 Acres of Land Winery, in Richmond, produces a Concord that has won multiple awards, StoneBrook Winery and Wight-Meyer are just two of the other wineries that produce Concord wines. 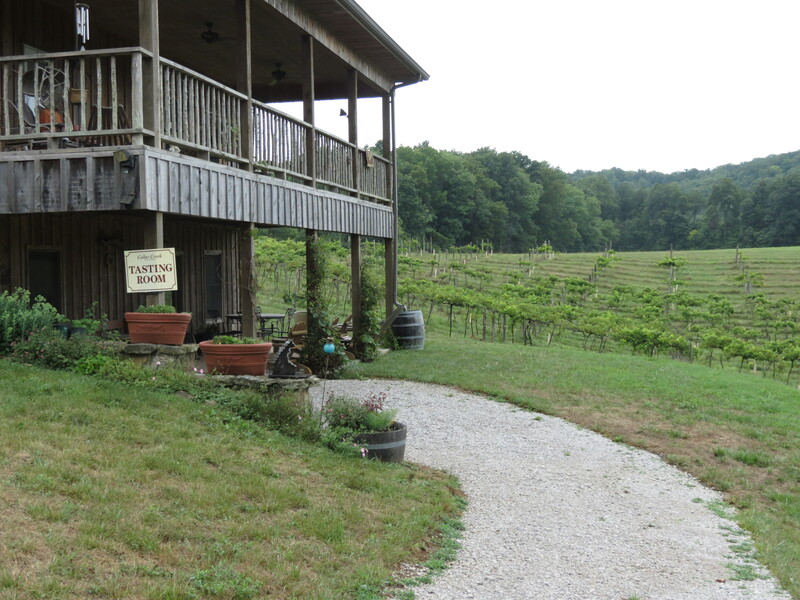 On a trip to Renfro Valley last weekend, we enjoyed a visit to Cedar Creek Vineyards and Winery. After a tasting and looking around, we sat outside enjoying both the wine and the scenery. Cedar Creek is located on a hill in southern Kentucky. In every direction the view is beautiful. Visitors to the winery follow a winding road through the woods and arrive at the top of the hill to view the vineyards and the tasting room. 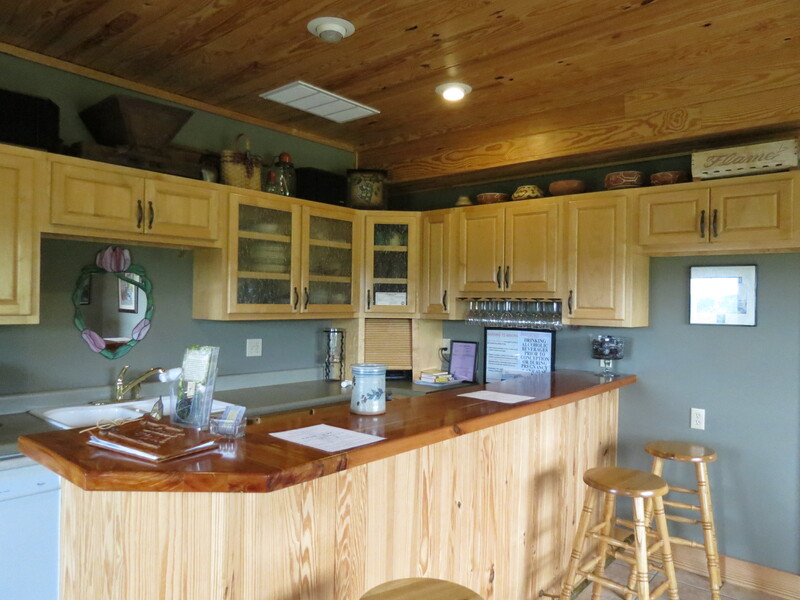 The tasting room has a gift shop and a beautifully built cedar tasting bar. Jeff Wiles welcomes visitors who want to taste the wines. Their offerings range from the drys such as Maréchal Foch to sweet such as Catawba and Niagara. We were disappointed because the Cynthiana was sold out. The Wiles try to work in harmony with nature by establishing native grasses and wildlife habitats. 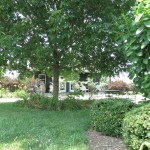 Their endeavors have created a picturesque setting to enjoy a glass of wine on a beautiful summer day. 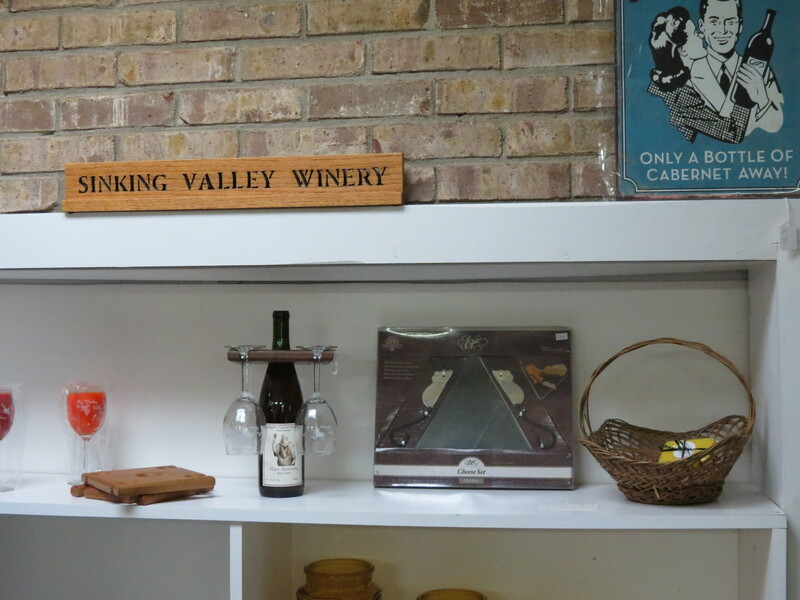 Recently, I had the opportunity to return to Sinking Valley Winery for the first time since I visited when writing my book. We missed the road and as it happens that was a good thing because they have moved. The new location is just off Highway 461 in a larger building with the name written on the roof. Visitors are much more likely to find it on a drive to the Somerset area. 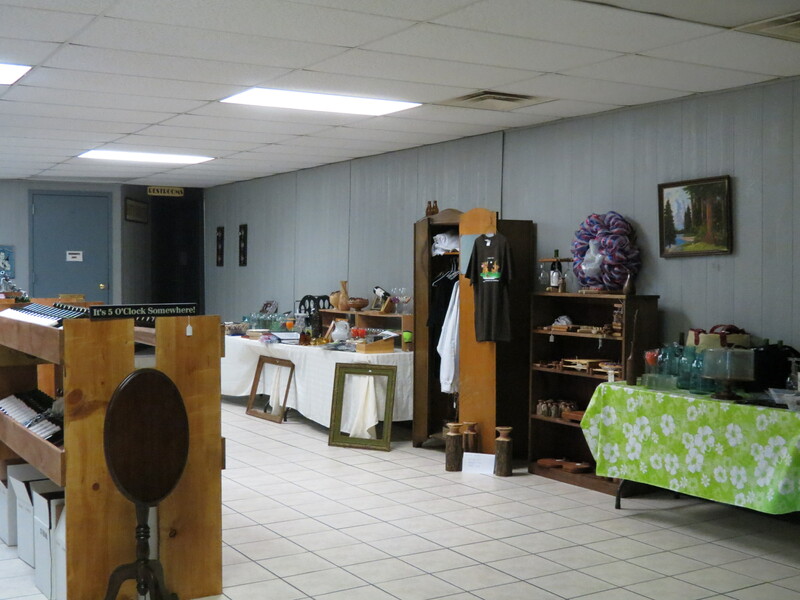 While missing the charm of the old Plato Post Office building where they were previously located, the new site offers the Burton’s the opportunity to have a wider variety of wine related items on display. One of their most popular wines is Prohibition Repeal Red, a sweet red featuring three collector labels depicting the beginning, enforcement, and repeal of Prohibition. Also popular are their fruit wines such as blueberry and blackberry. For dry wine lovers, they have a Chardonnay and a Cabernet Sauvignon. 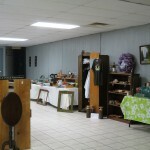 Zane and Amy Burton welcome visitors at this new location with tastings, wine sales, and unique gift items. 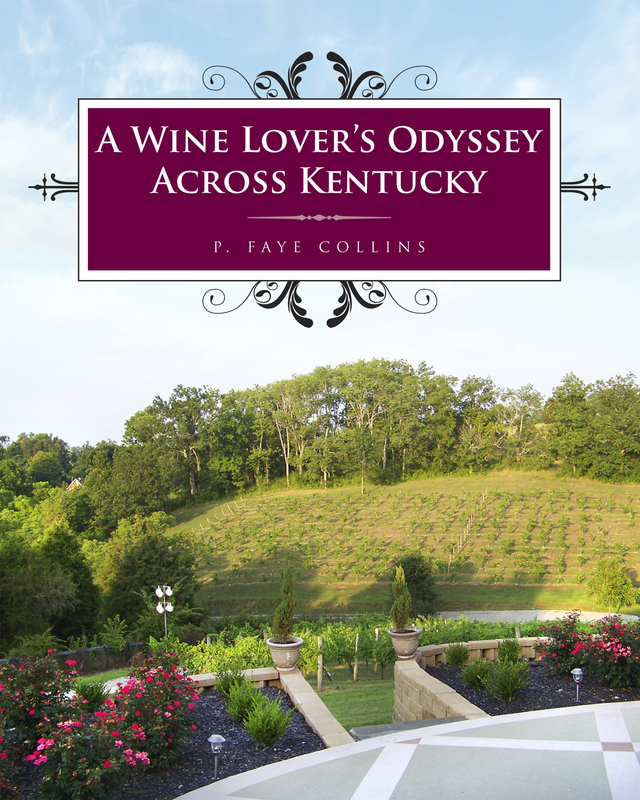 Faye’s Wine Book page will take you to a link to Butler Books where you can purchase A Wine Lover’s Odyssey Across Kentucky. It is (or will be) available at local bookstores, wineries, and from the on-line book sites, such as Barnes and Noble, Joseph Beth, and Amazon. I asked Eddie O’Daniel at Springhill Winery and Plantation B & B to read excerts from the book and give a review. He said, “I think this is a great, easy read that pops the cork on the history of Kentucky’s wine heritage and pours the reader a tantalizing taste of Kentucky’s wineries for a memorable experience! I’m quite pleased with the way the book has turned out. Here’s the front cover. I hope you like it! For many, Cabernet Franc is only the grape that blends well with Cabernet Sauvignon and Merlot to create a Meritage and other Bordeaux style wines. It often is described as inferior to a robust, full-bodied Cabernet Sauvignon. It was long believed that Cabernet Franc was a distant, less regal cousin of Cabernet Sauvignon. 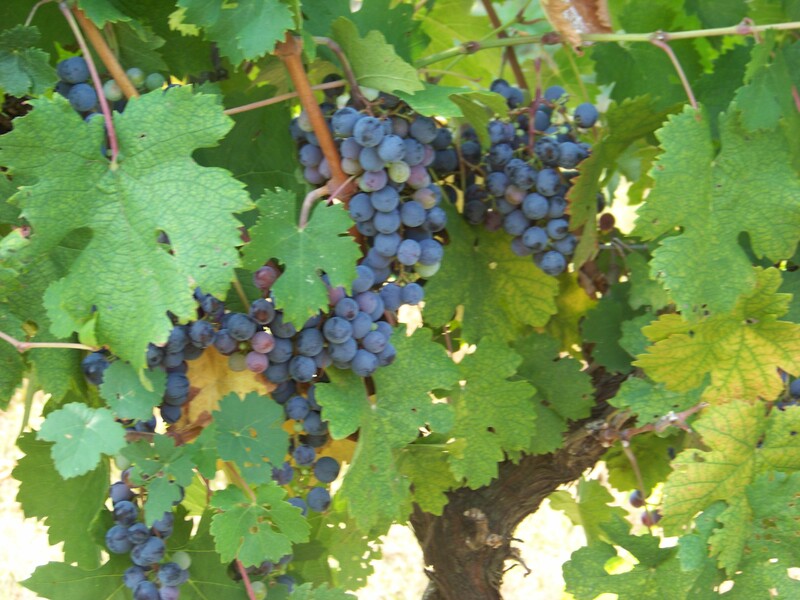 Recent research, however, has asserted that Cabernet Sauvignon is the progeny of Cabernet Franc and Sauvignon Blanc. Today some wineries are recognizing the subtle tannins, the spicy aromas, and berry flavors and are offering the grape as a varietal on its own. Cabernet Franc is a thin-skinned red grape that grows well in cooler climates. Most Virginia wineries are offering Cabernet Franc selections. It was in Virginia, that I first tasted and grew to love Cabernet Franc. 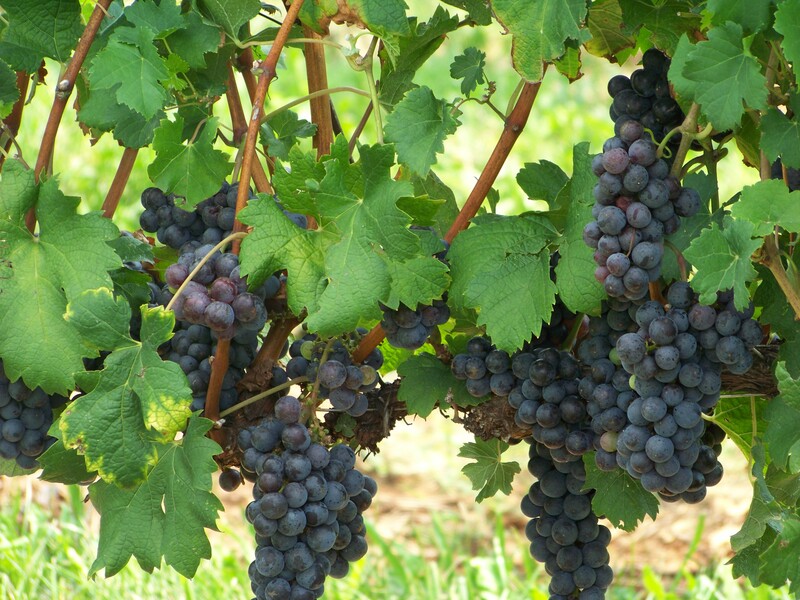 Many Kentucky wineries offer a Cabernet Franc wine, such as Prodigy Vineyards and Winery, Purple Toad Winery, StoneBrook Winery, and Elk Creek Vineyards. The flavors of luscious berries blend with the flavors of fruits such as cherries or plums. The wine is a clear deep garnet with a fragrant aroma of spices. Not only is the wine to be recommended, the grapes themselves are some of the most beautiful. While visiting Purple Toad Winery in Paducah, and Barboursville Vineyards in Virginia, I couldn’t resist the lure of the beauty of the Cabernet Franc grapes vineyard. With blackberry season approaching, it seemed like a good time to discuss one of the most popular non-grape wines. Early Americans produced their own wines with whatever fruits they had available to them. One of the most familiar is blackberry wine. Blackberry vines have been known in history to grow wild and have been found on all continents except for Australia and Antarctica. They are popular because of their sweet fruit. Blackberries have many uses, from desserts to jellies, jams, and preserves. Those early Americans were quick to recognize that blackberries made a very tasty wine. Many people are familiar with homemade blackberry wine. Wineries are making blackberry wine and for many it is one of their best sellers. Blackberry wines are often sweet and are lovely to serve with desserts. Others are more dry and used as an aperitif. 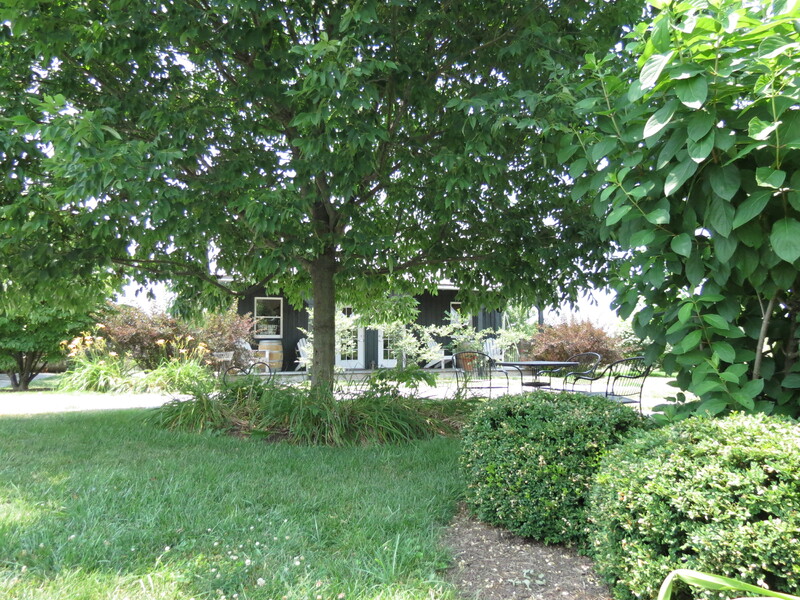 Most Kentucky wineries offer a blackberry wine. While I’m not usually a fan of the sweeter wines, some blackberry wines are appealing to me because I love blackberries. Wight-Meyer offers an aged blackberry wine, aged for three years in oak barrels. 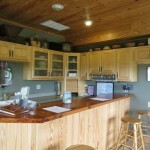 Lovers Leap produces a blackberry wine and had a blackberry wine fudge created by a Kentucky candy company. Chrisman Mill’s blackberry wine goes well with many desserts. Blackberry wine is excellent for cooking as well. One of my favorite recipes (which I shared earlier) is a blackberry jam cake. The wine gives it a deeper, richer flavor. For those who remember the delight of picking a fresh blackberry and popping in your mouth, blackberry wine will be appealing. A Wine Lover’s Odyssey Across Kentucky should be available within a month. It is at the printers now. I wanted to give you a preview of what to expect. With lots of photos, the book takes readers on a tour of thirty-four of Kentucky’s wineries. These were the wineries with tasting rooms and regular hours at the time that I was writing. For nine months, my husband and I traveled across the state. With only two overnight stays and fourteen day trips, we were able to visit and tour the wineries, interview the owners or wine makers, and taste the wine. The book gives a brief history of wine, a discussion of wine tasting and a description of the grapes grown in Kentucky’s vineyards. Readers will also find a map of Kentucky with the wineries marked, a glossary of wine terms, a list of grape varieties in the state, and a winery directory. I will let you know when the book is released. It will be available at bookstores and wineries, and through my blog with a link to the publisher. Subscribe now and an e-mail will let you know right away when it’s available. 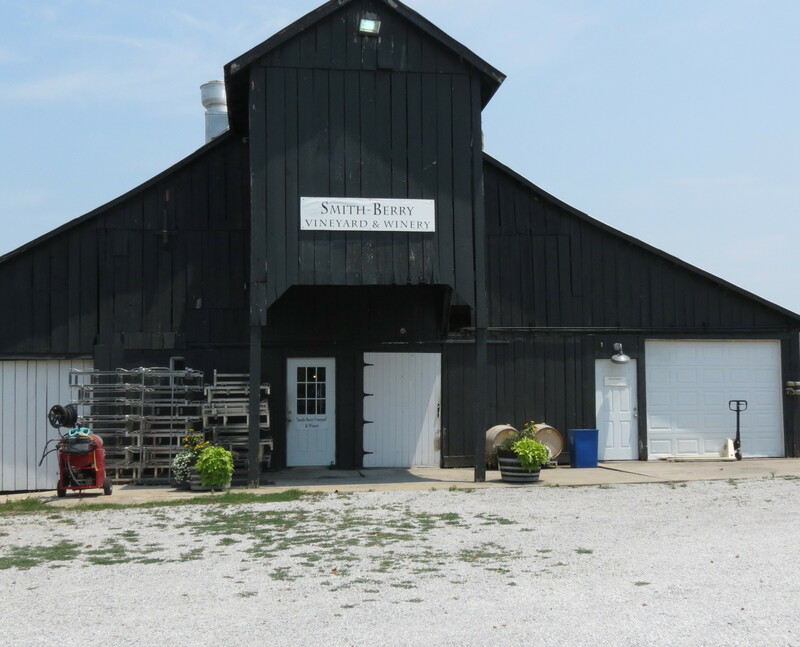 Smith Berry Vineyard and Winery is located in New Castle, in Henry County. 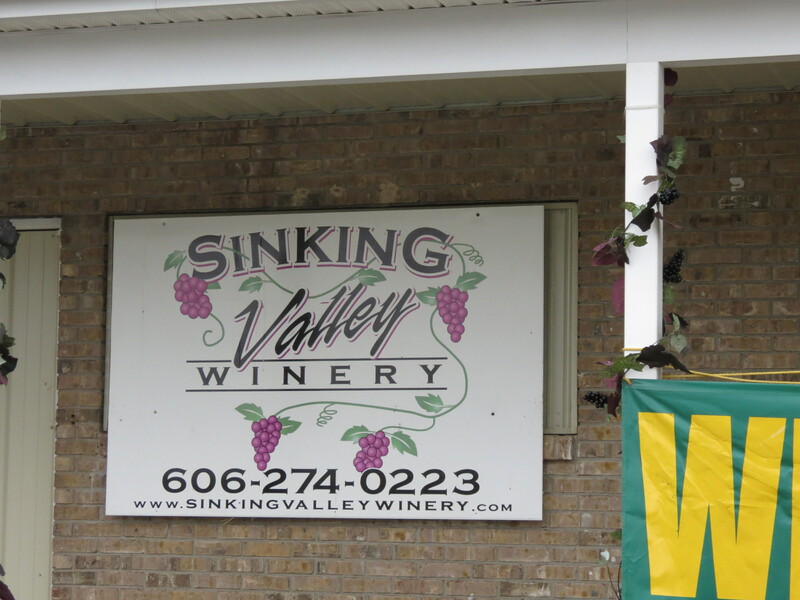 Those traveling on I-71 have seen the signs for the winery at Exit 34 for several years. 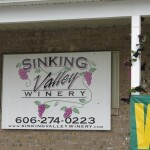 The winery has made a name for itself it the state for producing excellent wines. It has been a favorite of mine for many years. Chuck Smith and Mary Berry Smith have spent their lives farming, from dairy farming to tobacco to fruits and vegetables. They are still farming, now they are growing grapes. Their five-acre vineyard is made up of Norton, Chambourcin, and Vidal Blanc grapes. They purchase grapes or juice for some of their other wines. Chuck has been making outstanding wines since the winery opened ten years ago. They offer a wide variety for wine lovers from dry whites and reds to sweeter selections and fruit wines. My favorites are Norton Reserve, Norton, and Barbera. This weekend we spent a few hours at the Kentucky Renaissance Faire in Eminence. It was exceedingly hot, but we were able to enjoy ourselves as we always do. We decided to stop on our way home for a brief visit at Smith Berry. As always, our visit was fun. 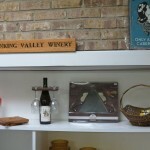 The winery has added Sunday hours and can now be enjoyed seven days a week. During the summer months many enjoy their concerts and dinners as well. 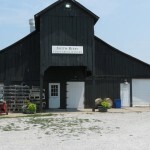 If you find yourself near Exit 34 on I-71 and have some time, I recommend a visit to Smith Berry Vineyard and Winery. You will find a lovely location, friendly people, and excellent wine. Occasionally, I do enjoy a light, white wine. One of my favorite white wines is Sauvignon Blanc. This wine is generally aged in stainless steel allowing the flavor and the aroma of the grape to show through. Sauvignon Blancs have the aromas of tropical fruits, herbs, and freshly mown hay and exhibit flavors of peach and melon. Some have less positive reviews of the wine including unripe fruit, asparagus, and cat’s pee. I must say I’ve never noticed those unappealing aromas. Sauvignon Blanc has a long history. The word sauvignon appears to come from the French word meaning wild. 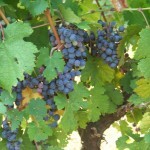 Many believe that the grape was originally found growing wild. The grape has been recognized for centuries, found first in the Loire valley in France. Today Sauvignon Blanc is found in many regions of the world, from Europe to South Africa, Australia, New Zealand, South America and the United States. In California, the wines are often known as Fumé Blanc. My favorite Sauvignon Blancs come from Barboursville Vineyard in Virginia and Oliver Winery in Indiana. 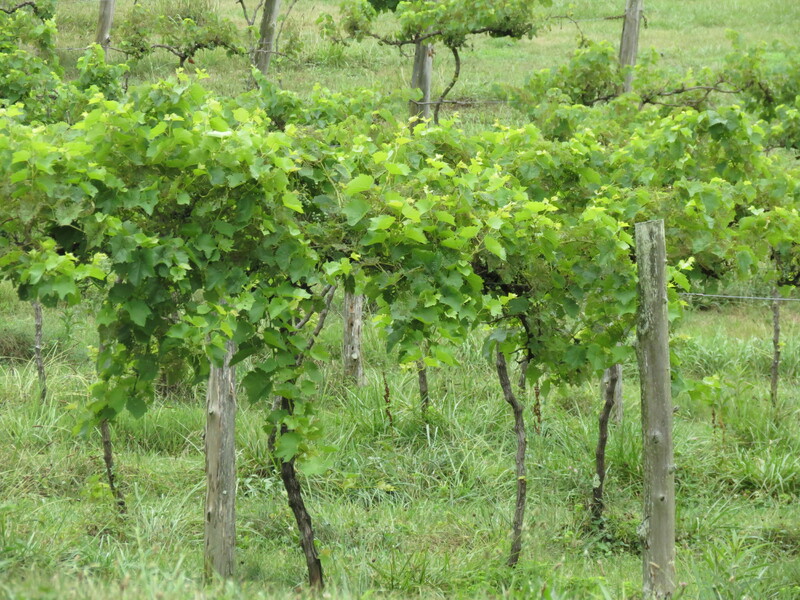 Some Kentucky vineyards, such as Grimes Mill Winery in Lexington have planted Sauvignon Blanc grapes, but I have not tasted a Sauvignon Blanc wine produced in Kentucky yet. I’m looking forward to trying one.